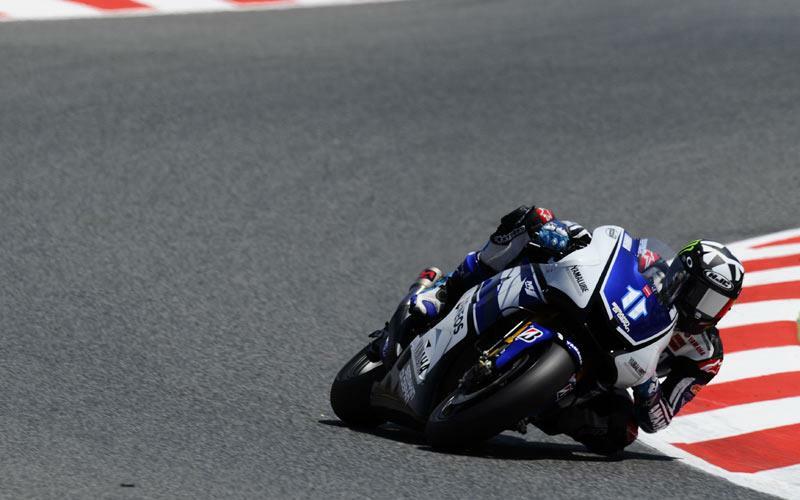 Ben Spies won’t be making a move back to the Tech 3 Yamaha if Cal Crutchlow or Andrea Dovizioso land the Texan’s place in Yamaha’s official factory squad for 2013. With Jorge Lorenzo signed on a new two-year deal, Yamaha is now considering its options for the second rider in its factory team, with Spies still hotly-tipped to keep his place despite a disappointing start to 2012. The 2009 World Superbike champion hasn’t scored a podium so far and his best result of fifth came only last weekend in round six at Silverstone. Crutchlow and Dovizioso’s outstanding performances at Tech 3 have only increased the pressure on Spies, with both eyeing a factory slot next to 2010 MotoGP world champion Lorenzo. The French-based Tech 3 squad already has Moto2 rider Bradley Smith signed a on two-year MotoGP deal but team boss Herve Poncharal doubts a scenario where Spies could return, depending on what happens with Crutchlow and Dovizioso. Crutchlow is mulling over a two-year deal to move to Ducati’s factory squad though his preference is to remain with Yamaha but on a factory YZR-M1. And Dovizioso has repeatedly spoken of his intention to be back on a factory bike in 2013. Spies rode his rookie year in 2010 for Tech 3 and finished sixth overall with podium finishes at Silverstone and Indianapolis. Poncharal told MCN: “I can’t see Ben coming back to us happening. We had a good year for him and us in 2010, which put Ben in the factory team. He is a great talent and very exciting for us. "For Ben I think it would be a step backwards and I don’t like to say that because it means we don’t have a team that’s capable of doing well.